How do I look in the event log in Windows? 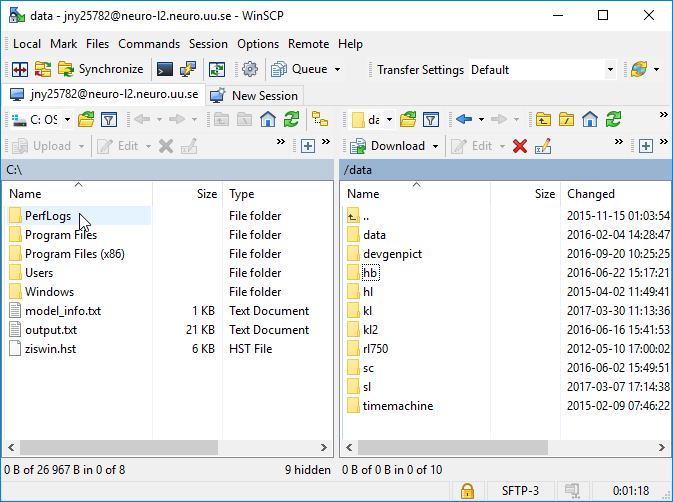 SCP is encrypted making this a relatively secure way to access files even from home or over WLAN (wireless network). 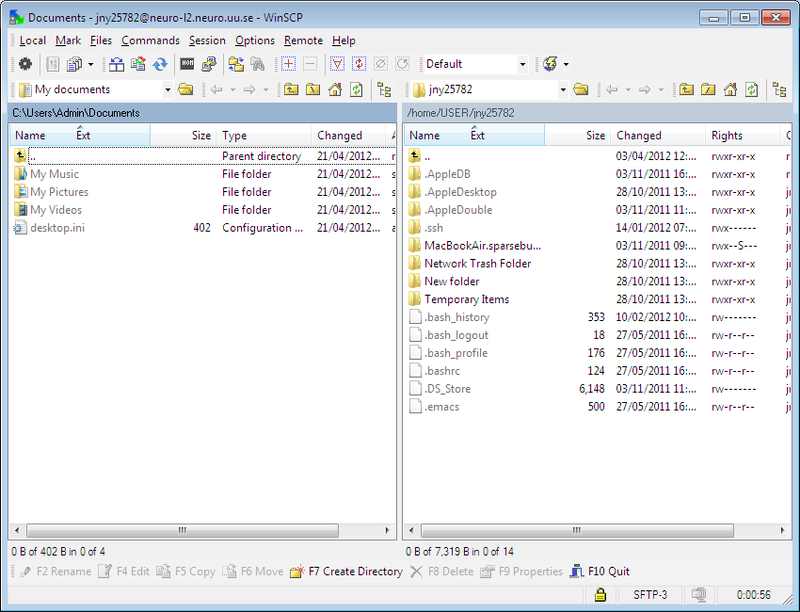 Download and install WinSCP from http://winscp.net/eng/download.php or open it in ZENworks application Window. Login on the server, in this example neuro-l2.neuro.uu.se using your username and password A. Access your files. This is your home directory. If this is on a file server where the group store data. you should not put stuff here. Change directory into the share for your group. On this particular server the shares are located in /data/hl, /data/kl2 etc. Go here by clicking on the / in the location and then on data. Or click on this little icon first and then on data.